You are Stella, the pilot of a subatomic vessel sent to destroy unstable atomic particles in your adventures across the microcosm. Weave and dodge your way through electrons as you deftly shoot away at the nucleus in each atom. But the pull of gravity keeps you in check - you must always move in orbits around the nucleus in order to navigate this bizarre world. Jump between orbitals while zooming around their perimeters to outmaneuver the dangerous electrons out to ruin your day. Make every shot count, and do your best out there! 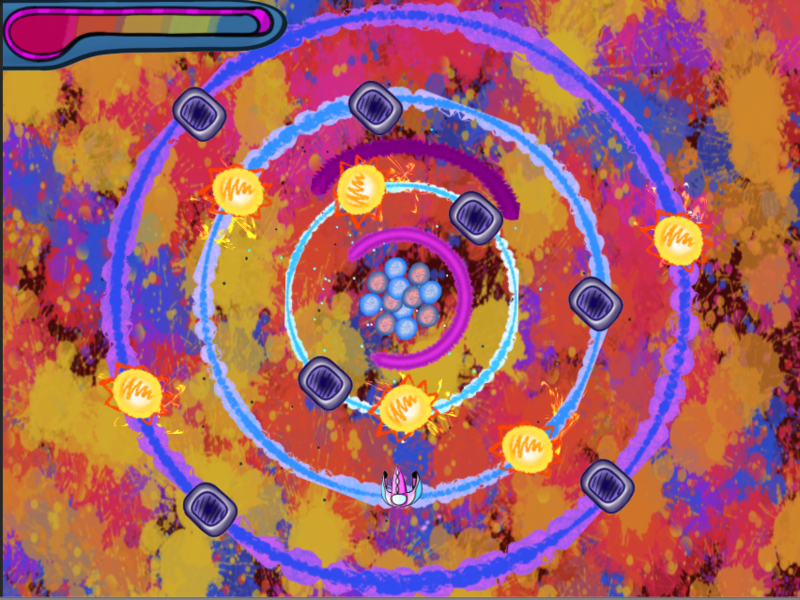 Orbitals treats you to ten levels of atomic action, each testing your skills and teaching you the ways of the orbit. Have fun out there, our brave heroine, Stella!